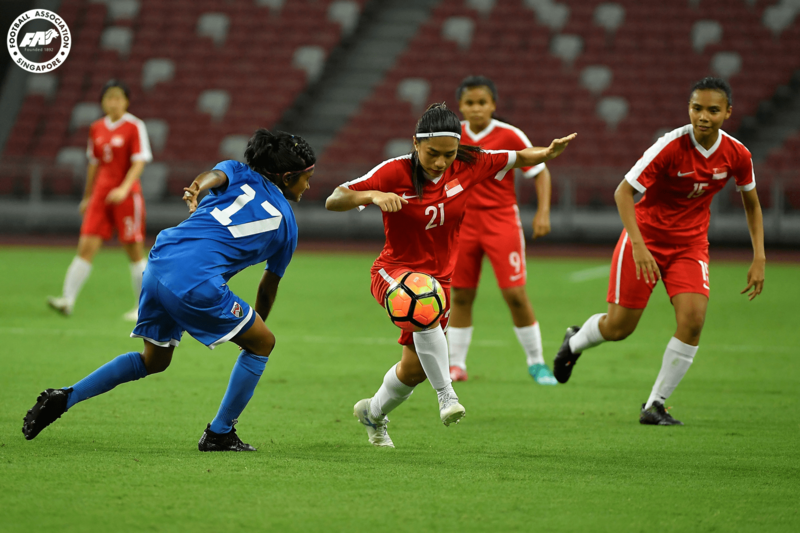 SINGAPORE, 16 NOVEMBER 2018 – Singapore will be hosting Indonesia, Luxembourg and Maldives for the Football Association of Singapore (FAS) International Women’s Quadrangular 2018. Held from 23 – 25 November 2018, the tournament is supported by the UEFA Assist programme – an international programme by the European confederation to provide practical support in the development of football to member associations and confederations worldwide. The semi-finals will be held at Jalan Besar Stadium on 23 November. The third-placing match and the final will be held at the National Stadium, Singapore Sports Hub on 25 November. Admission to the matches is complimentary. A FIFA Women’s coaching course will also be conducted on the sidelines of the tournament from 22 – 26 November at the Geylang Training Centre. Participants will be guided to do technical analyses of the tournament matches by FIFA Instructor and UEFA Technical Expert, Ms Hesterine de Reus. Ms Hesterine was in Singapore in 2016 to conduct a general coaching course for FAS female coaches and staff and in 2017 for a follow-up technical study group project, guiding participants through match analysis. FAS Grassroots and Women’s football General Manager Ms Julie Teo said: “This tournament is a great opportunity for our Lionesses to gain more match experience and will aid the development of our players, especially for the young players who have just been called up to the National Team. By training and playing more matches together with the senior players, these players will improve and our team will be stronger for the future. * Gates will open 1 hour before kick-off.